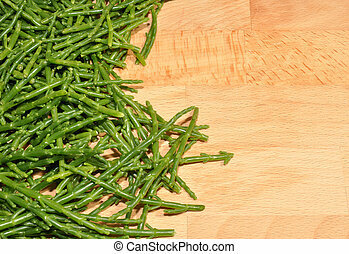 Fresh marsh samphire. 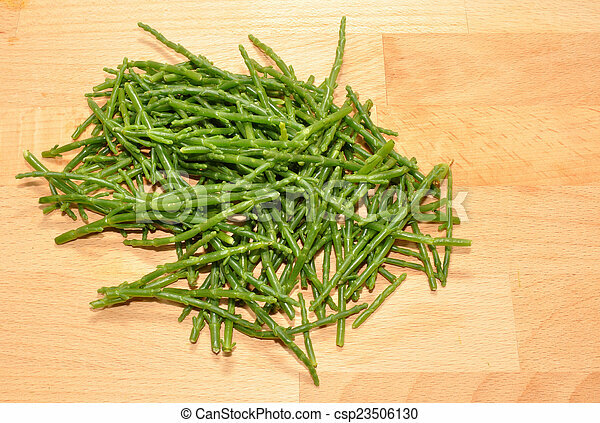 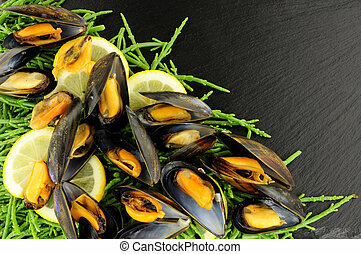 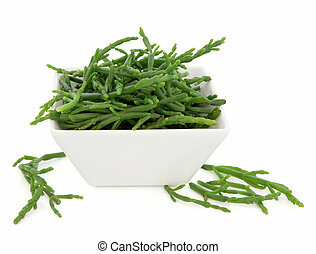 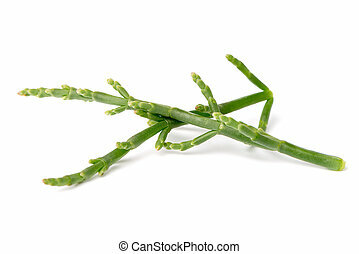 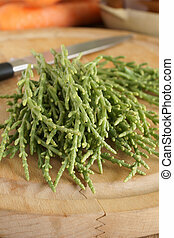 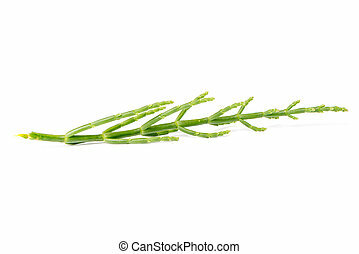 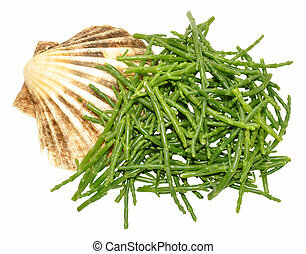 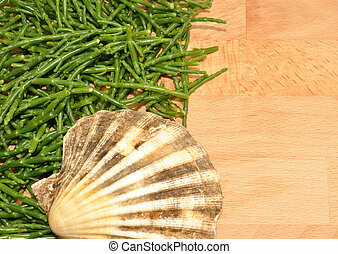 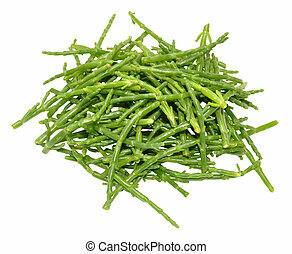 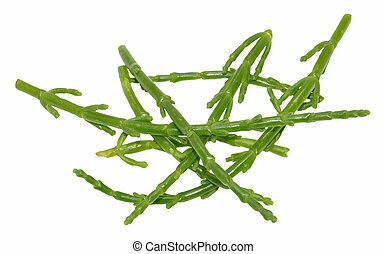 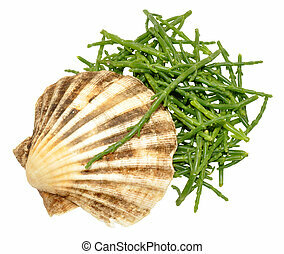 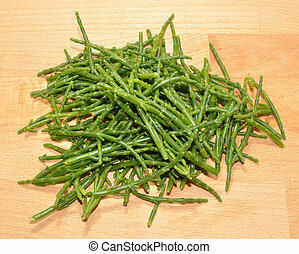 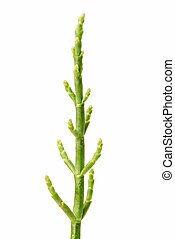 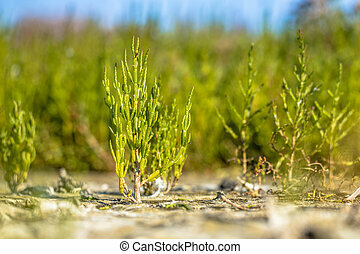 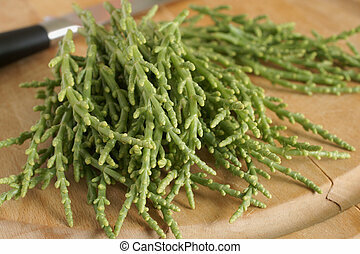 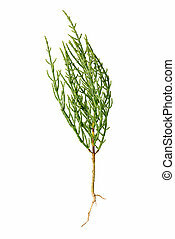 Fresh marsh samphire a coastal plant with vibrant green stalks and a crisp salty taste. 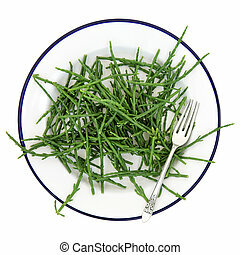 Fresh marsh samphire a coastal plant with vibrant green stalks and a crisp salty taste. 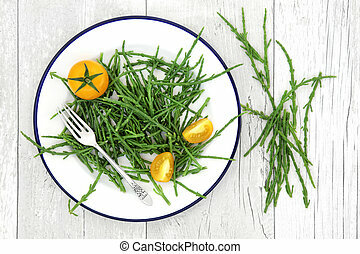 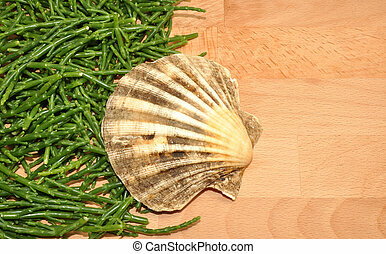 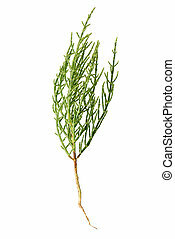 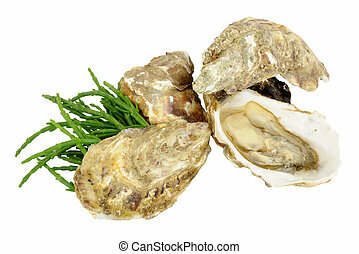 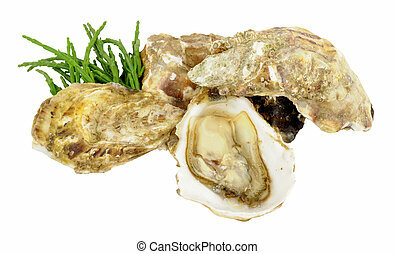 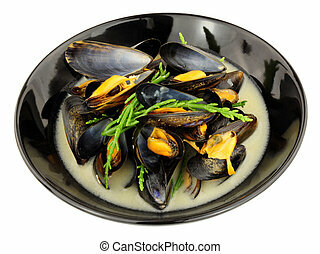 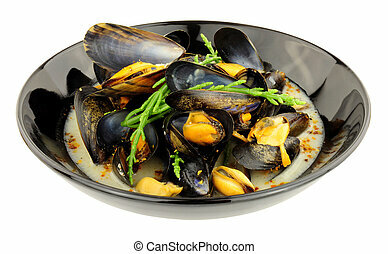 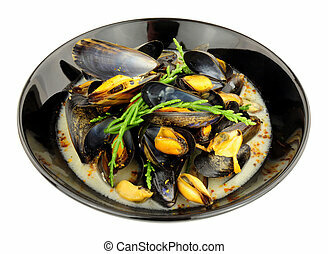 Samphire in a porcelain square dish over white background. 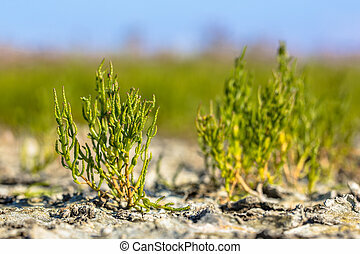 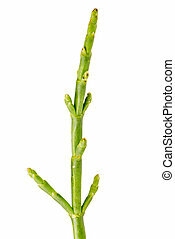 Salicornia europaea.